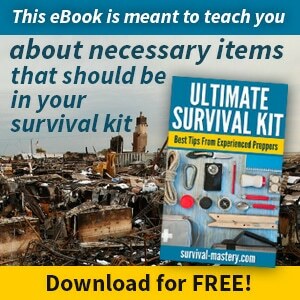 Knives are a survivalist’s essential: when in the wilderness having a sharp knife means you have a tool at the ready for use when you need it for hunting, cutting food, rope, and a variety of other uses. You will want that knife to be as sharp as possible, thus, the need for the best knife sharpener becomes clear. No matter what you do, your knife will grow dull and it will require sharpening. For your survival knife, only the best tool to sharpen it will suffice. The quality of the knife and the sharpener you buy are something that are closely related; If you don’t have a quality knife, it can end up being useless no matter how sharp you make it, and if you have a high quality knife and poor quality sharpener, you will find a dull knife cuts very little. As you cut, material will dull the blade. This dulling is in small increments over the course of time. Cutting veggies and fruits containing acidic ingredients, like tomatoes or lemons can cause a knife’s blade to corrode. There is also a superficial type of dulling that occurs with the regular use of the blade: this type of dulling is caused by folding. The latter process is not visible to the naked eye but can be witnessed microscopically. The thin blade folds over slightly during use and makes the blade thicker. Batoning: This is a method for cutting wood into smaller pieces. If you take a small log and place the edge of the knife on the end of the log, and smack the backside or spine of the knife, this is called batoning. Splitting wood is another fast knife dulling method. Prying: If you use the knife for trying to get to things apart or something open, it can dull the tip and nearby edge of the knife. Whittling: While a great pastime for someone who is skilled enough for the task, the controlled knife strokes one uses for pierce and sculpting a piece of wood will dull a blade fast. Wire cutting: If for any reason you have to cut wire with your survival knife, it can end up making your blade dull. Once you recognize how sharp your knife can be after it has been sharpened, as well as the ease in which it allows you to cut through materials, you will always want to ensure the sharpest edge of your survival blade. But, you certainly do not want to over-sharpen the knife. 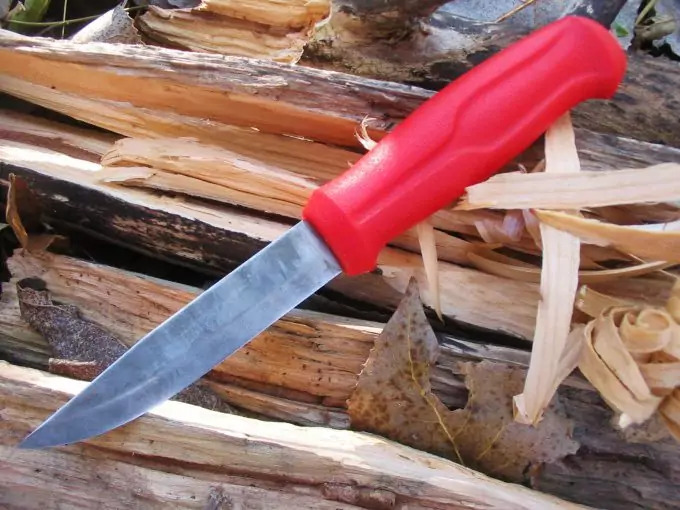 While some survivalists suggest that you only need to sharpen the blade one or two times yearly, your personal sharpening needs may vary considerably. Testing the blade may reveal a dull edge. You can perform the three-finger edge test to find out: this method requires you place your thumb on the spine of the knife blade to serve as a safety measure. Once you have positioned the thumb, you can wrap your hand around in such a way that it remains off the blade. Allow your first three fingers to gently touch the blade to assess the sharpness of it. You can use this test to assess the heel, belly, and tip of the knife blade. Below are some more methods of determining when the blade is in need of sharpening. The blade looks dull upon visual examination. The knife is not demonstrating the cutting power and smoothness it once had. With the use of an excellent light source, you can see if there is light reflecting off the edge of the blade, if so, it is time to sharpen up the blade. 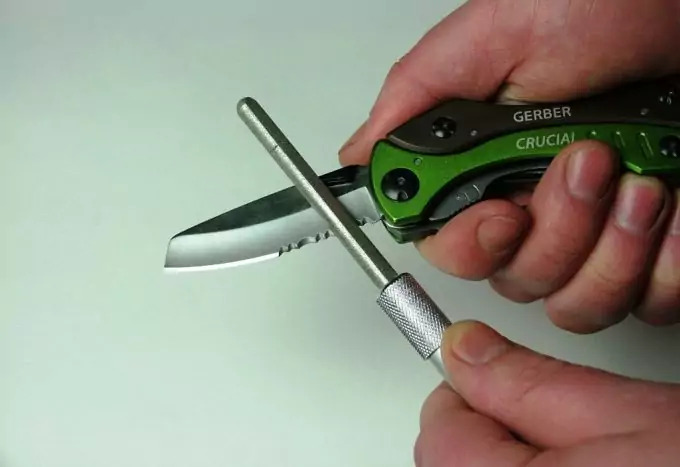 One of the most well known methods of determining if your survival knife requires cutting is to take your thumb and to gently move it from left to right in a scraping motion along the edge, and the tip needs to be checked. It should go without saying that considerable care needs to be taken, with not only this method of blade assessment, but also whenever you are touching the edge of your weapon. To check the condition of the blade’s edge, you can attempt to cut materials. Some typical materials to conduct such a test include newspaper and forearm hair. 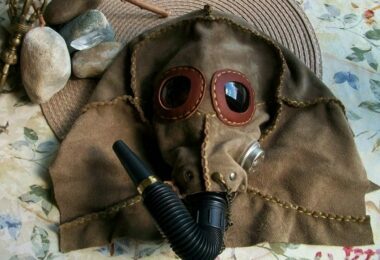 If considering the safest methods, it is perfectly acceptable to stick with the newspaper test. If the blade is extremely dull, you will feel no threat to your fingers and the edge will feel smooth. If dealing with a shaving blade that is buffed you can still use the three-finger test to assess knife sharpness, but you should keep in the back of your mind not to apply too much force as you do the test. Even if the knife is dull, its rounded edge can eventually cut you, especially when a great amount of force is applied. Your brain will signal danger when you are drawing near to cutting and breaking the skin. For more information on assessing the blade of your knife, view the above YouTube video“Three Finger Test of Edge Sharpness” featuring Murray Carter and CarterCutlery. Electric: This is the best kind of sharpener for convenience and it is ideal for indoor settings. Pull through/manual: These sharpeners are diverse in terms of style and can be used either vertically or horizontally. The unit can prove to be a good knife sharpening resource for the pocket knife, but is often preferred in a kitchen set up as well. Sharpening steel: A steel sharpening rod is not always made of steel as it can also be manufactured with ceramic components. This type of sharpener is really all about honing the knife and not sharpening the tool because it does not shave off undesired material. Careful use of the steel sharpener is called for has it has the potential to destroy the blade of a knife easily. If a person masters how to use it, the sharpening steel is a perfect investment for the diehard survivalist. Sharpening stone: This type of sharpener is rectangular and it is often in the shape of a thick block. The block is around one inch in terms of thickness. The stone itself is not necessarily made of stone, but can also be made of diamond or ceramic. This type of sharpener is one of the oldest of its kind and was at one time used for sharpening razors, scissors, and alternative tools. The stone is capable of removing anything that has aged the blade with ease, and some of the top names in the stone sharpener manufacturing industry include the likes of Norton, DMT, and Smith. Check out our article on how to sharpen your blade effectively for more insight. Synthetics Rather than using regular stone from the earth, many knife sharpeners are made with synthetic – material that is entirely manmade but that serves to sharpen the blade of a knife just as easily. This type of sharpener is exceptional for a final finishing on a sharpened blade or for a fast edge setting. The synthetic sharpeners on the market are visually appealing with a variety of colors available. They also come in easy to grip shapes and with different levels of grit. Diamonds Of course, diamonds make an ideal substance for sharpening knives, as they are the hardest known substance on the Earth. Diamond knife sharpeners are aggressive and make it all too easy to remove the metal of the edge of the blade. Definitely a good choice if you are looking for a fast and affordable means of sharpening your survival knife. This type of sharpener, which is offered in different grits, is exceptional for dealing with stainless steel or other hard tools. With the diamond stone sharpener, you can expect the stone to remain flat: This is something the synthetic and Arkansas stones do not do. Ceramics You will appreciate the affordability of ceramic sharpeners as well as the unique shapes, colors, and multiple grits you can get; this sharpener is best for keeping an edge sharp or for finishing as it takes of very little of the blade’s metal. Carbides Carbide sharpeners are appreciated for their aggressive sharpening features. If you want to sharpen a blade in as little as three to four fast strokes, this is the sharpener for you. Like alternative options on the market, you will find these sharpeners with unique, portable designs and styles. Made from novaculite, a genuine form of silica native to the state of Arkansas, these stones are good for polishing and finishing a blade. This type of sharpener is literally called the best finishing stone in the industry. If you are a survivalist, there is little doubt that you depend on your knife a lot and you expect it to be sharp every time you use it. 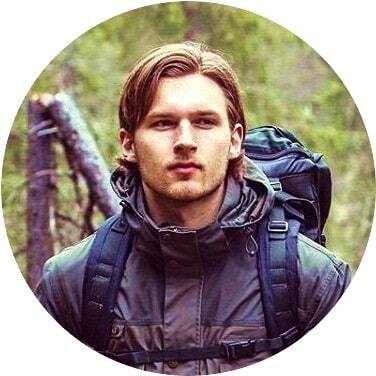 Think of it: you are out hunting, you capture some prey, and you set out to prepare and gut the animal, only to find your knife is too dull to do the job. You can definitely forget about skinning your prey. The situation will make it pretty difficult to get your catch back home for butchering. 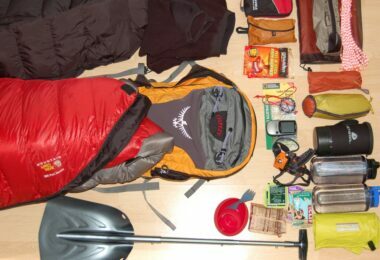 Portability: The knife sharpen you ultimately choose must be compact. 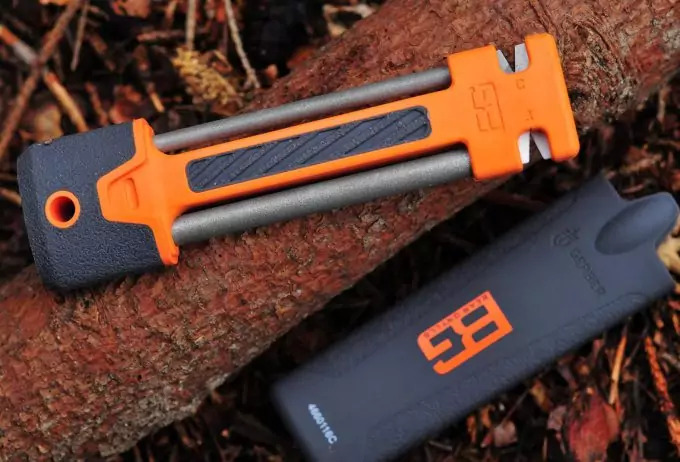 If you are out camping, hiking, or in a survival situation, you just want the knife sharpener to be easy to tote around. 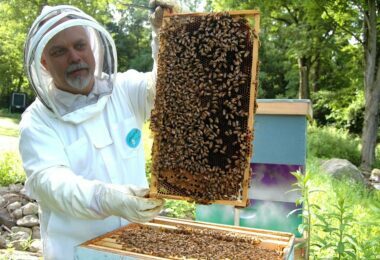 However, you do not want its size to compromise its quality. Non-electric operation option: If you are investing in a knife sharpener for outdoor use, you know you may not always have access to any electricity source. That being the case, your best bet for the sharpener you buy is that it does not rely on electricity to operate. Sharpener versus honing: You want a tool that can sharpen smooth and serrated edge blades and you do not want to hone the blades, you want to sharpen them. It is important that you give your blade some serious cutting power. Those who are new to knife sharpening methods often have a lot of questions. After all, sharpening knives involves the mastery of specific skills and it is not something one just jumps into – there is plenty to consider when it comes time to sharpen any weapon. Here are some of the typical questions neophytes have when approaching the notion of sharpening knives. What is the best knife sharpener for sale? The truth of the matter is that in order for a sharpener to be considered “the best” it is going to have to provide you with what you are looking for – a way to sharpen your particular weapon. This means it must match your level of expertise, and it has to have the best material to ensure you end up with a flawlessly sharp knife-edge. In general, knife sharpeners will work on any knife, but they may not produce identical results. What is the ideal knife sharpening frequency? That depends on how you use your weapon, how often you use it, and your preference in terms of blade sharpness. Some people sharpen a knife a couple times a year, some every few months, and others with every use. 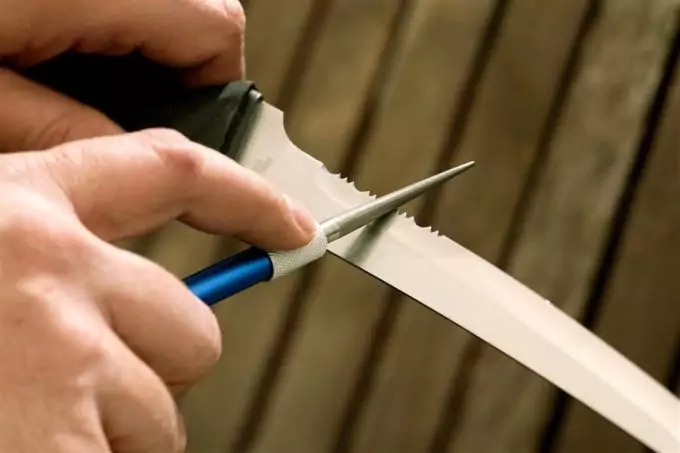 You should note however, that if you do wait until the blade has achieved a total state of dullness, it can take a considerable time to get the knife back into sharp condition once you do decide to sharpen it. What about angles: Which is best when sharpening a blade? It is important to note that the angle degree is less important than angle consistency. You want the same angle on both sides of the blade to ensure the absolute sharpest state you can achieve for your blade. The ideal angle for a blade is 23 degrees, as this makes the knife good for outdoor and sporting use. The PP1 PocketPal Sharpener from Smith’s is an exceptional knife sharpening tool for the survivalist. The unit is priced between $6.98 and $9.99. It features a black exterior that measures 0.01 inches x 3.5 inches x 1 inch, and weighs all of 0.02 pounds. The design is sleek, slender, and ultra lite. This excellent sharpener features carbide blades so you can sharpen your weapon quickly and with considerable ease. The sharpening angles are preset so you end up getting the same sharpening results every time, guaranteed. The PP1 carbide blades are coarse, the ceramic stones are fine, and the abrasive you get are the tapered rod diamond 400 grit, and the pull through of 800 grit. The tapered diamond rod is perfect for sharpening serrated edges as well as flat edges. The V shaped slots in this sharpener require that you insert the blades at a 90-degree angle: This is followed by the simplest pull through/back motion to begin the sharpening process. The Diamond Knife Sharpener with the model number 09841 made by Gerber is an exceptional knife sharpening option for those looking for discreet looking sharpener as this model looks more like a capped pen at a glance. The price of the sharpener is more than available as it ranges from $8.52 to $10.80. The Bear Grylls Field Sharpener is model number 31-001270 and is manufactured by Gerber. The knife sharpener is a must among the list of the best knife sharpeners you can buy. The unit is priced between $13.95 and $22.00, depending on where you buy it. This sharpener is fitted with a pocket size hard plastic cover and a coarse carbide insert. The handle is manufactured out of a rubber material to ensure a solid grip when the sharpener is in use. The Pocket Knife Sharpener by Victorinox is a promising investment for the survivalist in search for a top of the line sharpener. The Victorinox name brand is a trusted name in knife and knife accessory manufacturing as it is the same manufacturer of the famed Swiss Army Knife branding. Do read our reviews of the best pocket knife sharpener to give you more options to choose from. The knife is an amazing innovation, one that serves as a tool with myriad purposes. 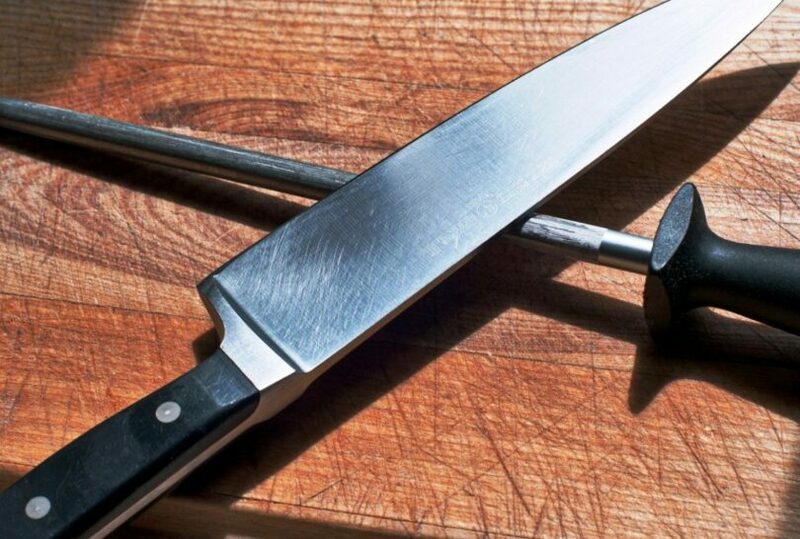 When used safely, a sharp knife can be the best survival tool a person can own. The key to the utility of a survival blade is the sharpness of the blade. It is therefore the responsibility of the knife owner to sharpen the blade regularly to ensure the rectification of the dulling knife’s blade edge. 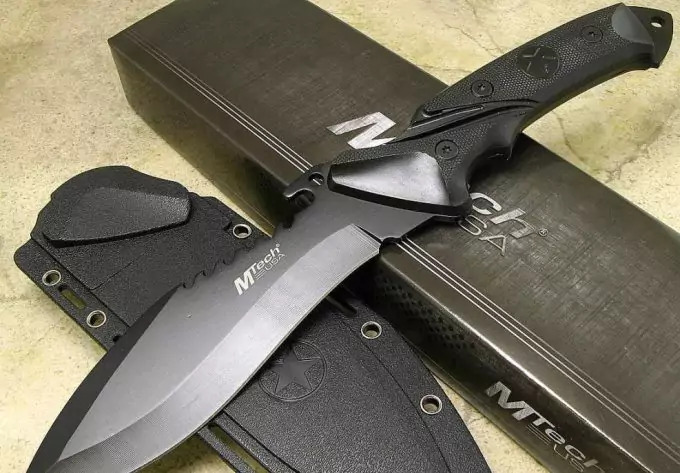 Since a survival knife can prove incredibly important to the survivalist, it is imperative that one invest in the best knife sharper one’s money can buy. 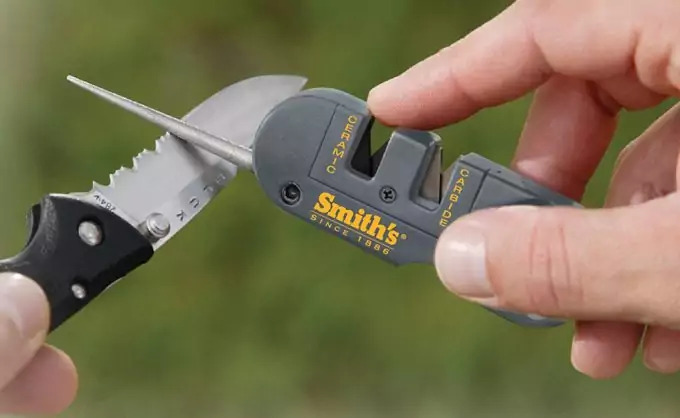 A decent sharpener not only extends the longevity of a knife’s use, it also ensures the knife’s utility entirely, and while affordability is a factor in your purchase, you will find the majority of the sharpeners for sale today are quite affordable. Check out our experts advice on how to choose the top survival knife for your protection.